Last week my sister joined Kevin and I for a short holiday in Italy. 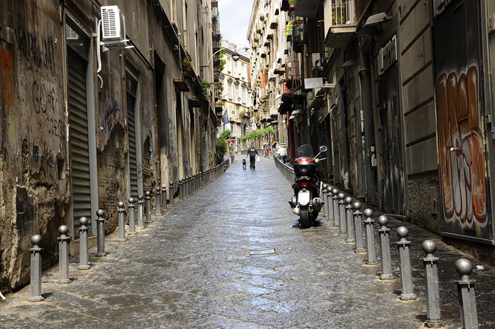 We visited Naples and Rome and enjoyed the sights, sounds, and flavors of these two popular Italian cities. We headed to Naples early Saturday morning with one goal in mind—to eat pizza. Having only one night here, we knew we had to spend our time wisely. 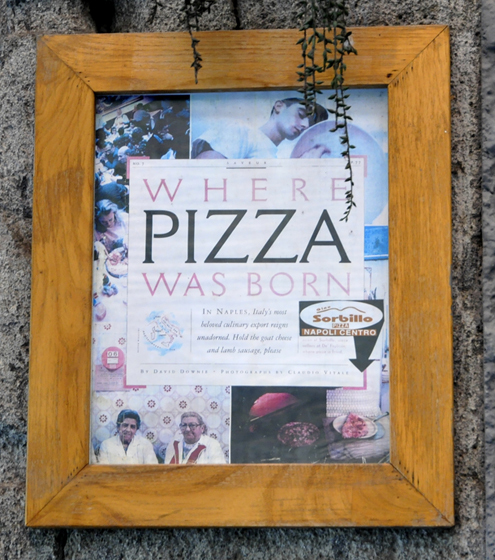 …you can’t visit here and not try the pizza. Just about everyone (from travel writers, bloggers, and past visitors) seems to have an opinion on where to go for the best pizza. Author Elizabeth Gilbert made Antica Pizzeria da Michelle (even more) famous in her book Eat, Pray, Love (followed up by a visit from Julie Roberts who played the author in the movie version). However, we decided to stay away from Hollywood and visit the popular Pizzeria Sorbillo instead and indulge on some of the best pizza we’ve ever had. 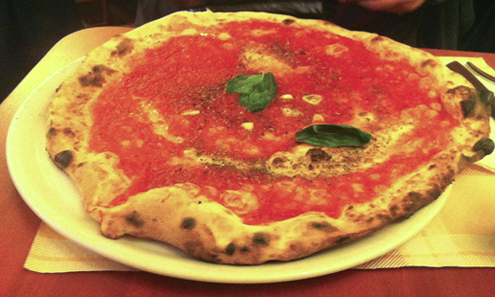 The real Neapolitan pizza (la vera pizza napoletana) has a thin crust, just the right amount of toppings and is cooked in a wood-fire oven. Local favorites are margherita (tomato, mozzarella, and basil) and marinara (tomato, garlic, oregano, and olive oil), so we ordered those. 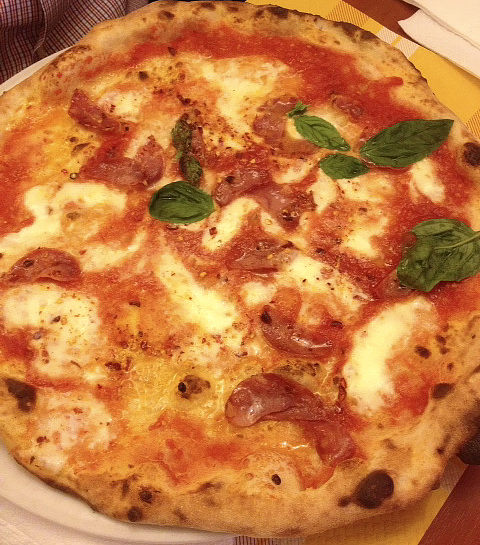 We also opted for a third, diavolo (tomato, mozzarella, spicy salami), and they were all delicious! 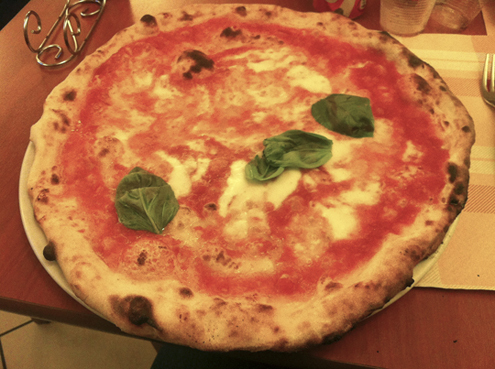 The margherita was our favorite. Despite Neapolitan pizza, Naples is also known for fresh seafood and…yes…we tried that too, at Ristorante La Vela, and it was superb. 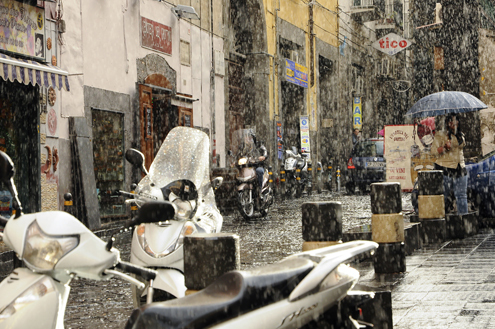 Much has been written about Naples being “dirty” or “grimy” and, unfortunately, in many parts of the city it’s true. 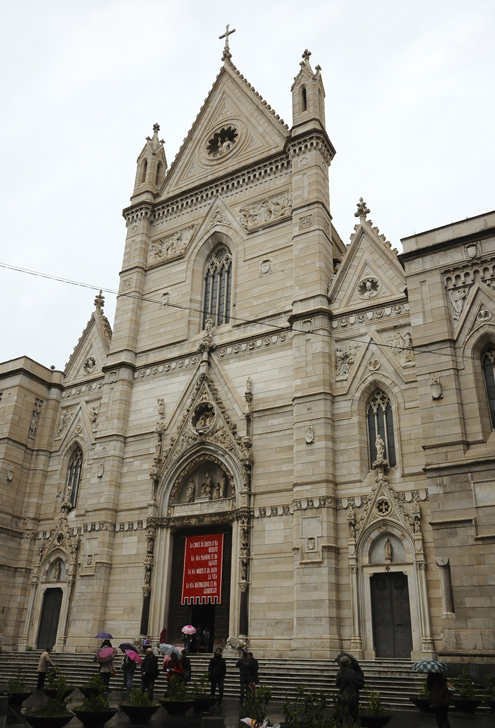 However, the extremely welcoming Neapolitans, with a palpable love of their city, make you overlook the less attractive parts. 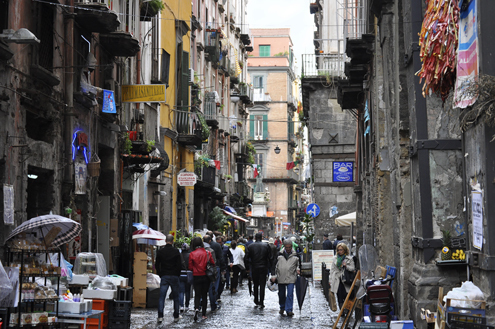 This is the truly fascinating thing about Naples, as it’s all about the people. We met some of the most memorable taxi drivers here—humorous, high-spirited with melodious singing voices. A real treat! 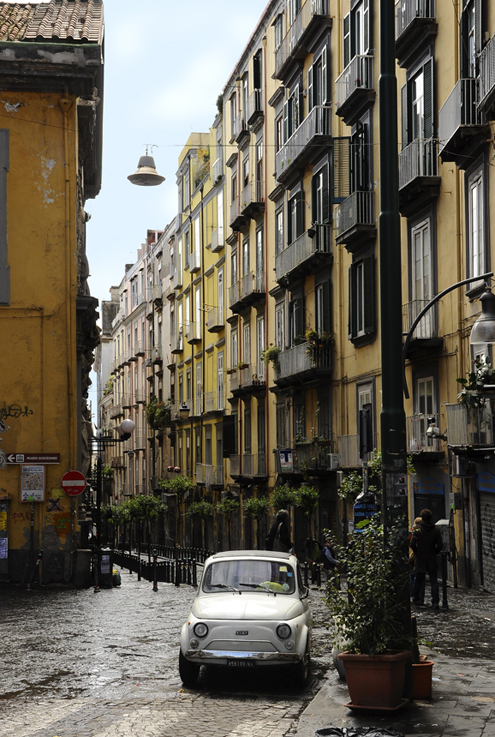 With impressive architecture, old European streets, art galleries, marvelous churches, views of Mount Vesuvius over the Bay, Naples has so much to see. 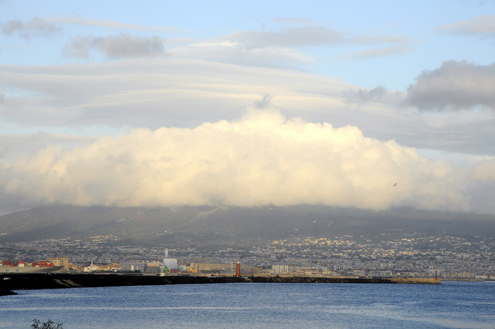 Mount Vesuvius - Can you see it behind the clouds? One fascinating place we visited was Sansevero Chapel (Cappella Sansevero). 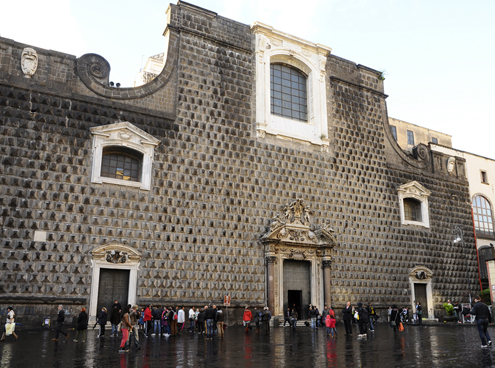 Built in 1590, the Baroque-styled chapel contains over 30 works of art from influential Italian artists, but one remarkable masterpiece steals the spotlight—Giuseppe Sanmartino’s Veiled Christ (Cristo Velato). Waking up on Easter morning, we still had some time before our train departed for Rome. So, at the recommendation of our hotel’s concierge, we ventured off to find Scaturchio, a pasticcieri in Piazza San Domenico Maggiore, to treat ourselves to Pastiera, the traditional Neapolitan Easter cake. 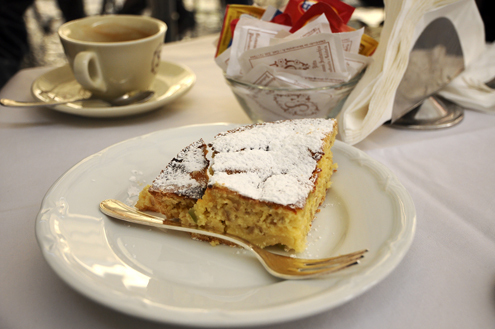 With coffees in hand, we sat in the piazza and shared a slice. Happy Easter to us. Despite several bouts of rain, we unquestionably enjoyed our short visit to the birthplace of pizza. 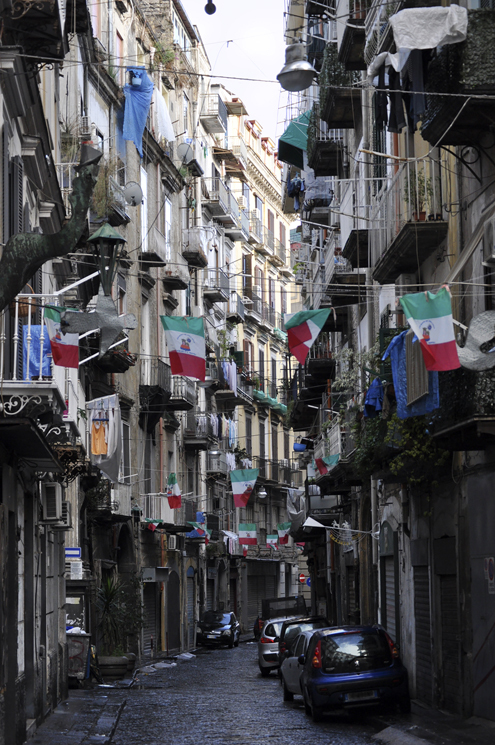 Grazie, Naples!